The robotic mop is the latest automated house-cleaning robot to capture consumer attention. Thinking of getting one? Wondering what is the best robotic mop? What’s on the inside of a robotic mop? How did we determine the best robotic mop? Plus, we’ll look at some of the features and capabilities of robotic mops. A Short History of the Robotic Mop: How Did It Evolve? The invention of the robot mop followed closely on the heels of the robotic vacuum cleaner. The first robot vacuum hit the market in 2002 and consumers went crazy. Its manufacturer, iRobot, initially produced 15,000 vacuums. It was prepared to manufacture 10,000 more, depending on its success. To its surprise, its vacuum, the Roomba, flew off store shelves. So did the next 10,000 units. So did the 50,000 more units iRobot produced in time for the next holiday season. Since the robot vacuum was so successful, the robotic mop was the next logical product to create. The are similar in size and style to automated vacuum cleaner. (In fact, some are actually vacuums with a mopping system attachment.) They even employ many of the same technologies. The big difference, naturally, lies within its inner workings. Specifically, automated mops do a different job which requires water and cleaner to complete. These devices have two major systems. They are: a navigation system (how the device gets around your house) and a cleaning system (how it actually gets your floors clean). 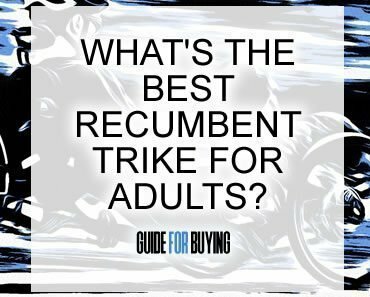 This is of huge curiosity to consumers, and it’s usually one of the first questions they ask about house-cleaning robots. Ultrasound guided– Uses ultrasound sensors to judge distance, locate obstacles (furniture, etc.) and sense stairs. Laser guided– Like ultrasound, but instead uses laser technology to navigate. Infrared beam– Like the other two, but uses infrared (light energy) technology to navigate. Infrared is the most recent technology and considered the most sophisticated. Whichever system it employs, robotic mops rely heavily on those tiny computers. They may keep the device from getting stuck in a corner, falling down a flight of stairs and bumping into furniture and stalling (depending on the type of system). Auto mops are a little more touchy and delicate than their predecessor, the auto vac. After all, if it malfunctions and the computer system gets wet, your mop will fail. Therefore, the cleaning system is housed carefully and separately from the navigation system. It contains a chamber for water and some type of pad for the actual mopping. Depending on type, some robotic mops come with more than one type of pad. There will be a traditional wet mop pad and may also have a “damp sweeping” pad (gets less water than a “wet” pad) and a dry pad. The cleaning system relies on the computer (via its sensors, whatever the type) to tell it what to do. It will activate and control water dispensing. It will also detect what kind of pad has been applied (i.e. wet vs. dry pad) and act accordingly. Most robotic mops also have a vacuuming/sweeping system of some type. Intelligent mapping: This is the very cool ability to take “snapshots” of your home. The more you use the device, the better it gets at navigating your home and thus, the better clean you get. It also helps the mop to “remember” where it has already cleaned and concentrate further efforts elsewhere in your home. Pet hair issues: If you have furry pets, you know how hard it can be to get pet hair off your floor and furniture. It sticks! You may also know that some floor cleaning devices are better than others at picking up pet hair. Certain devices are designed specifically for picking up pet hair. Others are not. Do you have pets? If so, look for a robotic mop that is made for cleaning up pet hair. Charge time woes: Remember that your device needs to be charged regularly. Charge times can vary widely from device to device. Make sure you check charge time before you buy a device. If you hate waiting, look for models with shorter charge times. Our top five best robotic mop picks are based on close to 24 hours researching 20 different robotic mops. 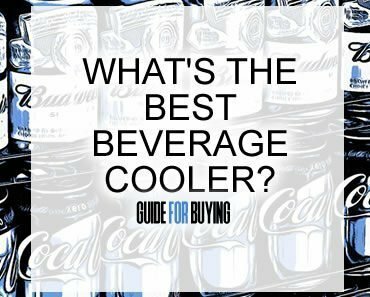 We read hundreds of customer reviews, watched consumer videos and read advice from experts in the field. From this, we narrowed our selections down to our top pick and 4 runners-up. 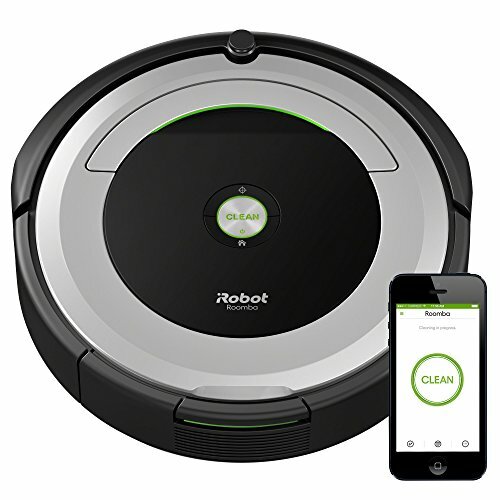 We weren’t surprised that it was an iRobot that came out at the top of our best robotic mop list. iRobot didn’t invent the robot vacuum. However, it was first to design one workable and practical enough to release to market. There isn’t much about this device that didn’t impress us, starting with the price. 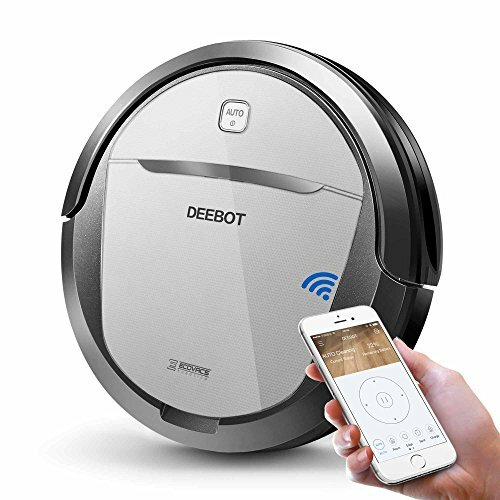 At $324.99, it’s far from the most expensive robotic vacuum on the market. 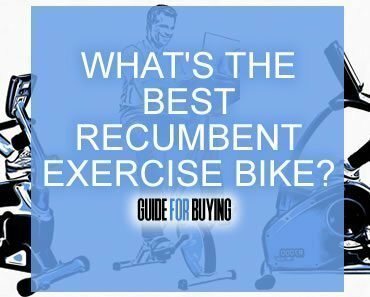 Yet, it has so many great features! We really like the idea of the Dual Mode Virtual Wall Barrier, even though it’s not included in the price. This device connects to your mop and puts up “virtual walls.” Your mop won’t be able to pass through those virtual walls. It’s a sure-fire way to keep your mop from going into rooms and spaces you don’t want it to. Then there’s the fact that you can control this mop via your smartphone (who doesn’t want to come home to a clean house?). Or, you can tell Alexa or Google Assistant to start your mop. Got pets? Then this robotic mop will clean up after them. We could go on and on about the iRobot Roomba 690 Robot Vacuum. Do beware of the battery life, which is short compared to many other robot mops. It’s also not the quietest on our list. However, if you can live with charging your device more frequently and the sound doesn’t bother you, this is an excellent choice for your cleaning needs. 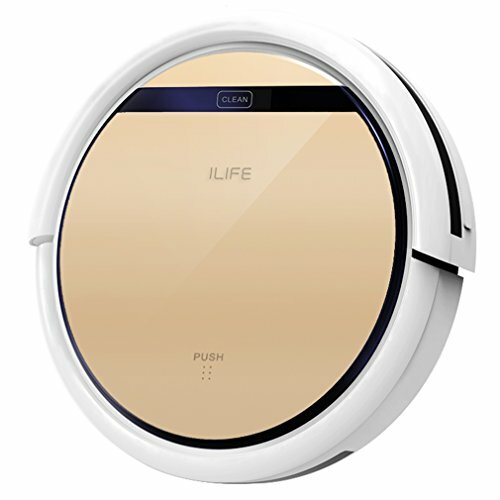 The ILIFE V5s Robotic Vacuum Cleaner doesn’t have all the “bells and whistles” that the iRobot Roomba 690 Robot Vacuum has. On the other hand, it is considerably less expensive. This fact makes this device within reach of more consumers who want a robotic mop. Not only is it cheap, users love it. It has a high ranking (more than four out of five stars) on Amazon. Just a couple of things to keep in mind. First, it doesn’t have an intelligent mapping system. All of its movements are random. Therefore, the bigger your room, the more likely it is that spots will be missed. Secondly, it doesn’t have a virtual wall/barrier. If you have a room with drop-offs (like stairs) your mop will plummet to its demise. For these two reasons, we believe the iLife V5S is better-suited for use in small homes and in spaces with descending stairs. Alternately, you could block off your stairs with some kind of physical barrier (i.e. a baby gate) before each use. 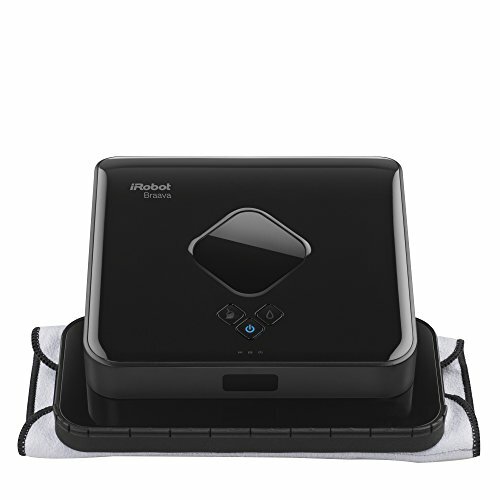 iRobot cracks the best robotic mop top five list again with its Braava 380t. It’s kind of like the little sister to the Roomba 690. The Braava isn’t quite as flashy in terms of its technology (no smartphone app or virtual wall barrier) but features the same intelligent mapping system. One of the things that stood out to us about this one is its weight. At pounds it is the lightest device on our best robotic mop list. Those who suffer from conditions like tendonitis or others that make lifting and handling difficult find the Braava one of the easiest models to work with. The fact that it has an intelligent mapping system means you’ll get a more efficient cleaning than with a device without such a system. If attention to detail is important to you, this may be the model for you. However, since it has no virtual wall/barrier, we think this device will work best in a home/space with no drop-offs (descending stairs). 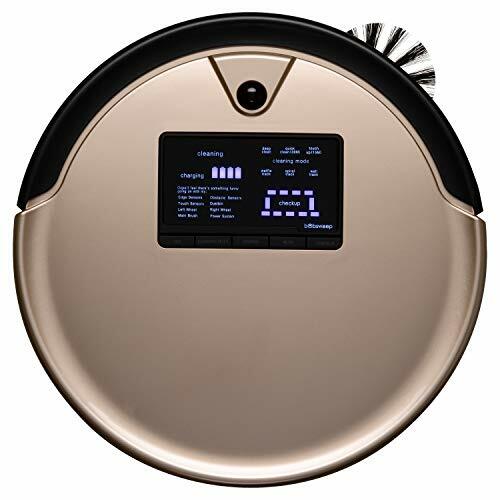 The ECOVACS Deebot M80 Pro Robot Vacuum Cleaner offers many of the same features as the number one pick on our best robotic mop list. It provides a quality cleaning and it’s efficient to, thanks to the intelligent mapping system. However, it doesn’t have a virtual wall/barrier system. Because of this, it may not be suitable for homes/spaces with descending stairs. 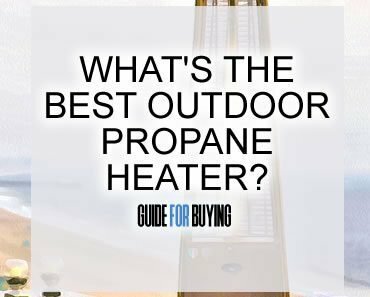 Also, this device is the heaviest on our list. If lifting or mobility is a problem for you, you may be better off with a lighter device. Finally, be aware that the mopping system is an add-on system. Make sure when you order that you check whether the mop system comes with the vacuum or if you have to order it separately. This device tops the list when it comes to pet hair removal. Households with multiple pets and/or large-breed dogs will be enthusiastic about the bObsweep. At $349.99 (at time of this writing), it’s the most expensive device on our best robotic mop list, so it’s not for the timid. However, we think it’s a worthwhile investment for furry pet lovers. While the vacuum system on the bObsweep is enviable, the mopping system is less efficient. Therefore, it won’t work well on heavily-soiled floors. Though not as heavy as the previous machine, at eight pounds it still outweighs the average robotic mop. Those with mobility issues may find this device cumbersome. It’s also a bit tricky to set up compared the the other models on our list. However, if you can get through this initial headache, we think consumers will be pleased overall with the bObsweep. By the way, it also has the highest consumer ranking on Amazon of all the devices on our best robotic mop list!